A perfectly functional pink microwave, ideally suited to those with a pink colour scheme in their kitchen. Depends on if you like pink! 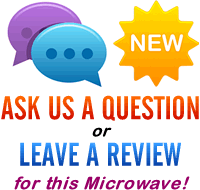 Looking to buy a pink microwave? Your options are pretty limited - but thankfully Whirlpool have provided a pink colour option for their Max 38 range, thus catering for those with an affinity for all things pink. We've already reviewed this Whirlpool Max 38 Pink microwave before, and so won't go into too much detail as we've covered it before - however it features the same rounded back design as the rest of this range - thus saving vital work surface space. 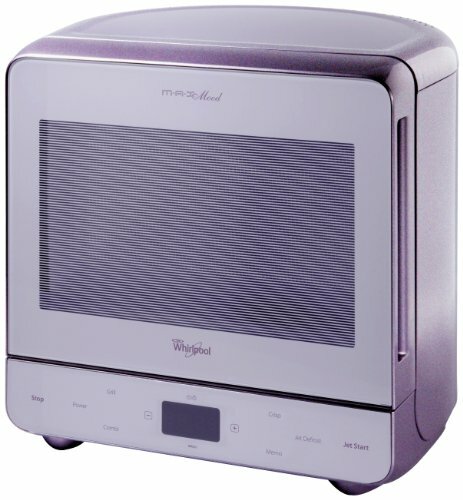 This unique rounded shape means this is an ideal microwave for sitting in the corner - it takes up a lot less room than a conventional rectangular microwave. The grill facility enables you to crisp and brown food, which based upon our experience with a different colour version of this microwave, works very well indeed. The turntable is 28cm in diameter, and cleaning is quick and easy, thanks to the auto steam facility. The main selling point of this Whirlpool Max 38 Pink microwave is the colour scheme - you'll either love or hate it. For those who prefer something a touch more subtle, it is also available in black - overall it works pretty well, and should be reliable.